This show is sure to be epic so get tickets soon! These are two rap heroes coming together for a mega-tour. Update (8/2/11): Watch the Throne tour has just been re-routed. Most dates have been pushed back. Keep checking back to find the most updated tour schedule updated below as of 10/26/2011. 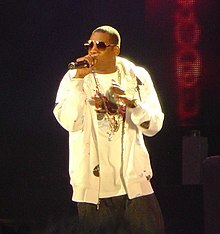 The Throne tour kicks off on October 29th in Atlanta, Georgia at Philips Arena. Face value prices currently range from $49.50 per ticket to $199.50. Looking at the same show on September 22nd, prices range from $89 in section 412 to $3,305 on the floor! As anticipated, Watch the Throne ticket sales have been very strong on both the primary and secondary markets. Below is a list of what Watch the Throne tour tickets are going for on the re-sale market for each date on the tour. I often get made fun of around the office for saying this, but in my opinion Kanye West is the most influential musician of the past ten years. Being a huge fan of his most recent album, My Beautiful Dark Twisted Fantasy, I was eagerly anticipating Watch the Throne. I can safely say that while this album may be a collaboration between two hip-hop legends, it belongs to Kanye more than it does to Jay-Z. Kanye’s larger-than-life production and innovative sampling dominate the album, picking up right where My Beautiful Dark… left off. While it’s lyrically shallow at some points, there’s never a dull moment in the 16-track album. Aside from Jay and Kanye, I was really impressed with Beyonce on Lift Off and the up-and-coming Frank Ocean (of OFWGKTA) as well. This album does not disappoint.